Time has gone fast in New Zealand, very fast. I spent such a great summer time there and has done plenty of good training phases most of time at Kaituna river near by Rotorua. I was based at Dawson's hollyday house which is just on the lakeside, which was great, again. While my training was in full progress i raced at New Zealand Open race in Mangahoe, down to south of north island. It was good training race eventhough i was not really happy with my performance as i placed 4th just behind podium with some serious mistakes in my final run. Despite that i was happy to be there and raced. The biggest highlight of my New Zealand time was making happen a new project we were working on past two month. 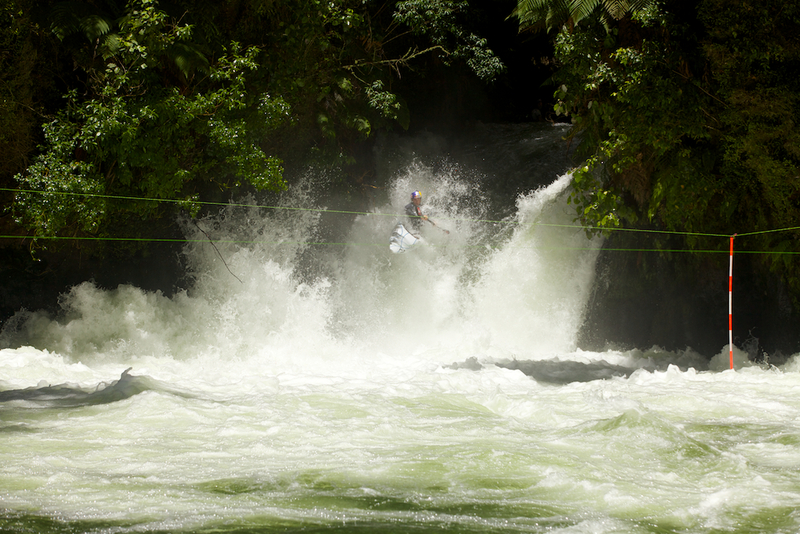 Mike Dawson and I teamed up for real whhitewater slalom sessions. 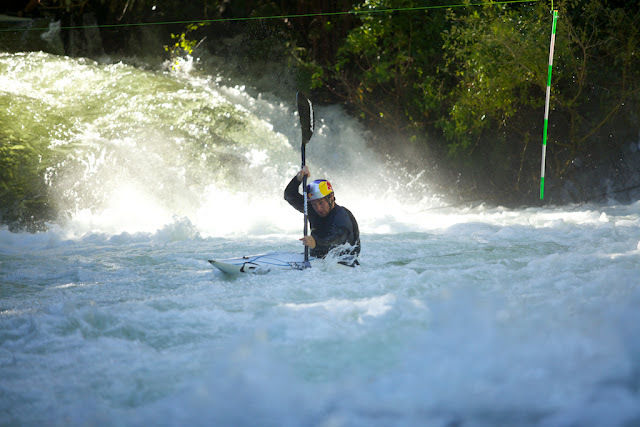 Originally we were going to make this kind of event more likely as a race at the famous Huka Falls, but due to the rain and very high, therefore dangerous for slalom boat flow, we used floded river Kaituna just at "our backgarden". 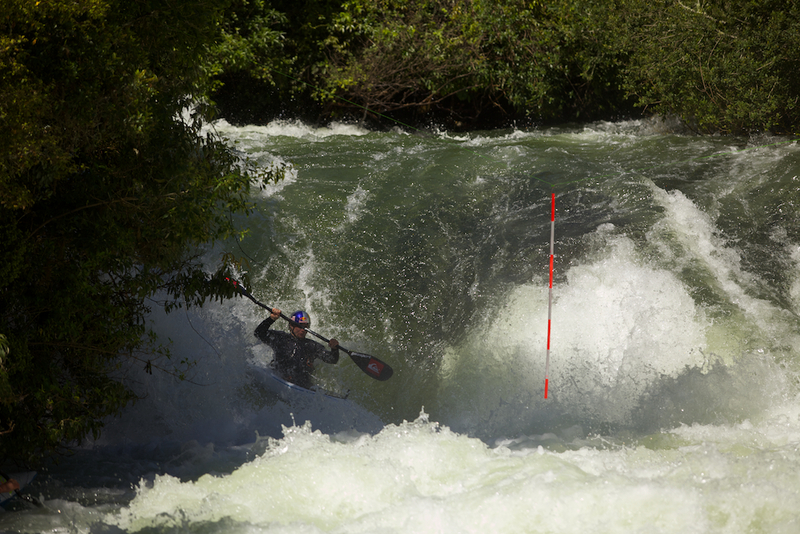 This section of whitewater is commercially rafted at restricted flows of between 200 and 500 on the gauge but they set out to race down it in composite (carbon, fiberglass) kayaks 3 times the maximum commercial rafting level known to the locals as "Open Gates". One obstacle at the end of the race course is called Trout Pool Falls, a rapid outside the scope for commercial rafting at any flow and seldom run at this flow even by the best whitewater kayakers in plastic kayaks designed for this sort of whitewater. These two stepped up and ran the falls at the end of the mentally and physically draining course. A big thanks go out to RedBull CZ for making this project happen as well as all the people involved in set up, camera operation and safety. 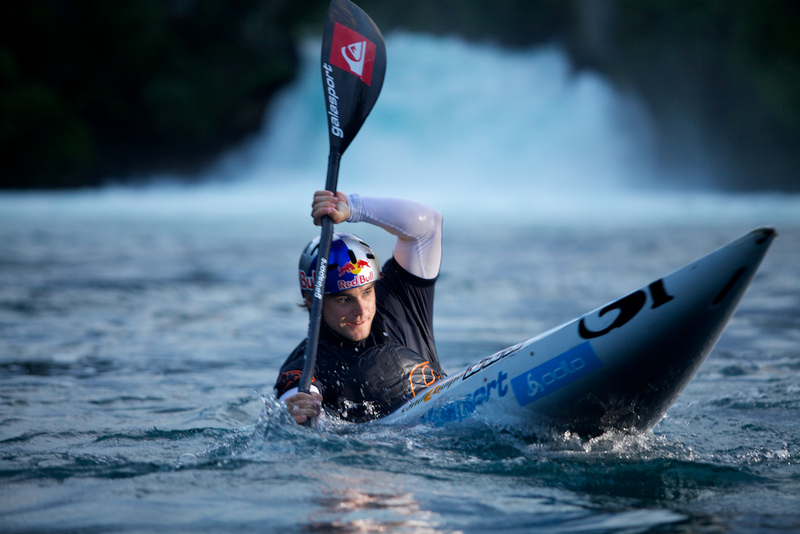 Project has proved us, that slalom is exciting sport nad could be showcased as an extreme sport as well. We have got some amazing feedbacks and lots of media coverage as well! Check out the video above! Now I am back in Penrith, Australia. Till 10th of March is long time and I will try to get into the shape for the national selections. Australia welcomed us by rain and quite unusuall weather temperature just by 19 degrees. It's not that bad for training, but could be quite annoying if it would last longer.